Here you can take a look to our sensational steel swimming pools. 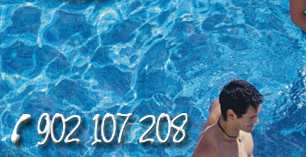 Solid swimming pools, of high quality and totally customized to the taste of each client. We have a great experience and big range of materials, colours and shapes that allow us to construct the more adequate swimming pool to the needs of its family.